The sixth generation of the Substitube range from Osram features a complete bundle of new products to replace conventional fluorescent tubes: T5 has now been added to the almost commonplace T8 LED tubes. With both sizes the professional models with type designations “Advanced UO” (‘Ultra Output’) feature especially high light intensities of up to 3,600 lumens with T8 and even up to 5,600 lumens with T5. 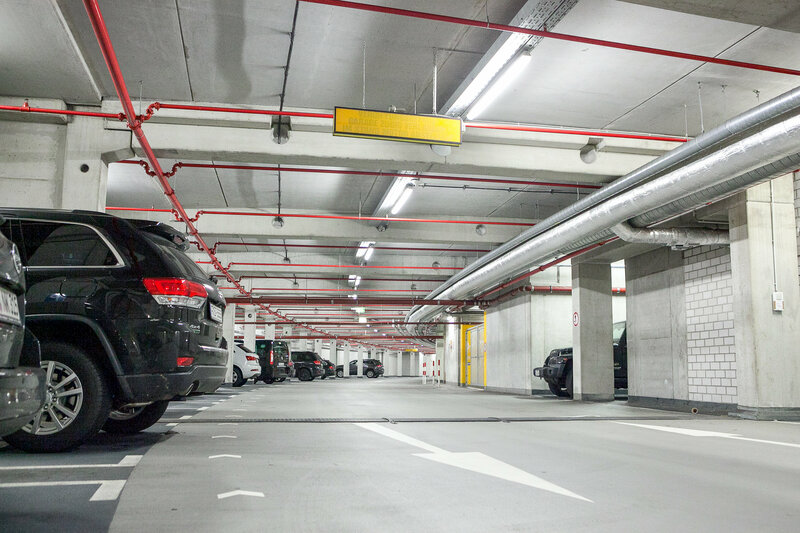 The type designation of the “Advanced UN” T8 LED replacement signifies ‘universal’, and can be used accordingly with both conventional and electronic control units via plug & play. All Advanced models in the latest Substitube portfolio have efficiency of up to 150 lumens/watt to represent yet a further commercial step towards the “most efficient LED lamp in the world”, at the time consisting of 215 lumens/watt and shown by Osram two years ago at Light + Building. As a consequence, the latest generation provides energy saving potential of up to 67 percent by simply replacing traditional fluorescent tubes. The flagship model of the Substitube range, the “T8 Connected”, even saves up to 90 percent energy. 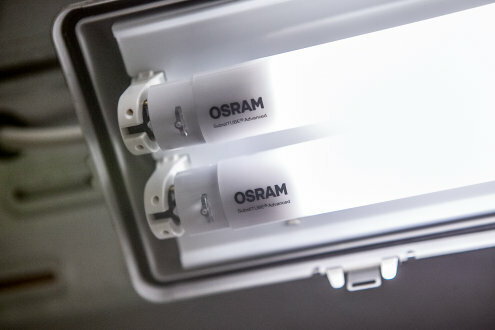 Up to 50 of these LED tubes can be wirelessly connected to a sensor detecting daylight and movement, which can then steplessly dim the light when no longer required. The new “Advanced UN” T8 models feature simplicity and flexibility as well as high efficiency levels: they can be used with both conventional and electronic control units without any additional measures needed. This cuts stockkeeping costs and enables greater scaling effects. The Substitube range is now also featuring an LED replacement for T5 fluorescent tubes from summer. To ensure requisite stability levels, this model is only available with real glass, and optionally as the Advanced UO with up to 5,600 lumens as an 80 watt replacement for high rooms, or as a 49 watt replacement with up to 3,920 lumens. When upgrading traditional tubes, power consumption can be cut by up to 50% and payback times in many cases are less than two years. Both T5 replacement models have efficiency levels of up to 150 lumens/watt with a rated service life of up to 60,000 hours and 200,000 switching cycles. 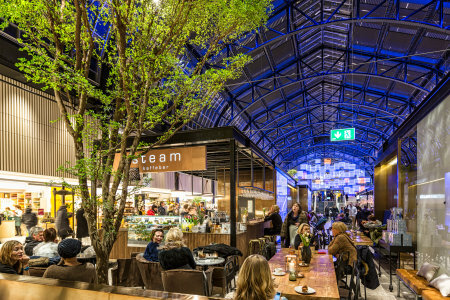 Using real glass for the coming light season will make the models with “Value” designation significantly cheaper – and with the higher quality look and feel of glass. The Value tubes will be mainly used in the professional sector for simpler applications and in private households. They feature light output to 100 lumens/watt and will be available in three color temperatures (3,000, 4,000 and 6,500 Kelvin).